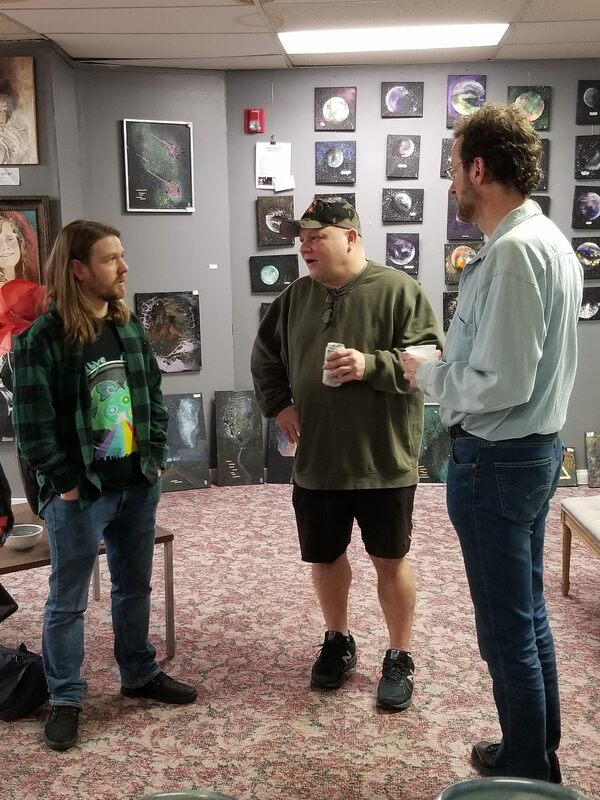 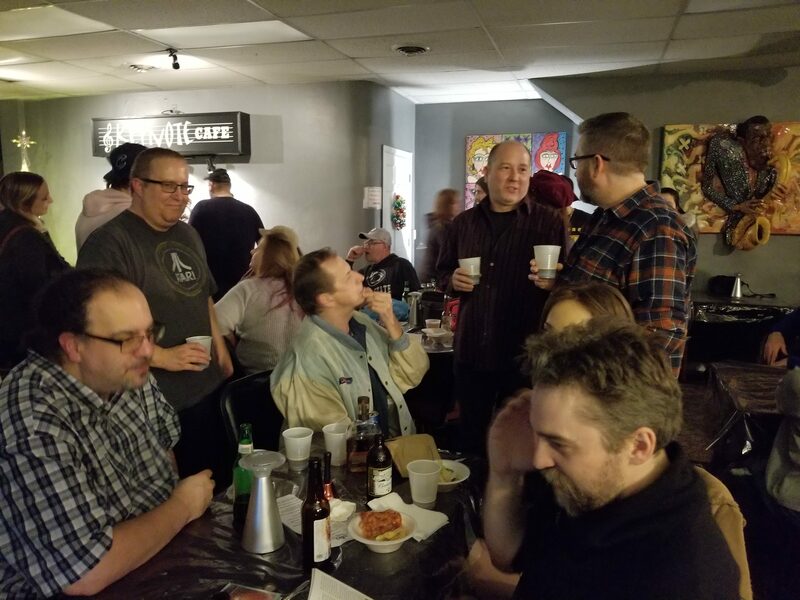 On Saturday, December 29th, 2018, a group of alumni of Dreamforge Intertainment met at the Keynote Cafe in Jeannette, Pennsylvania. 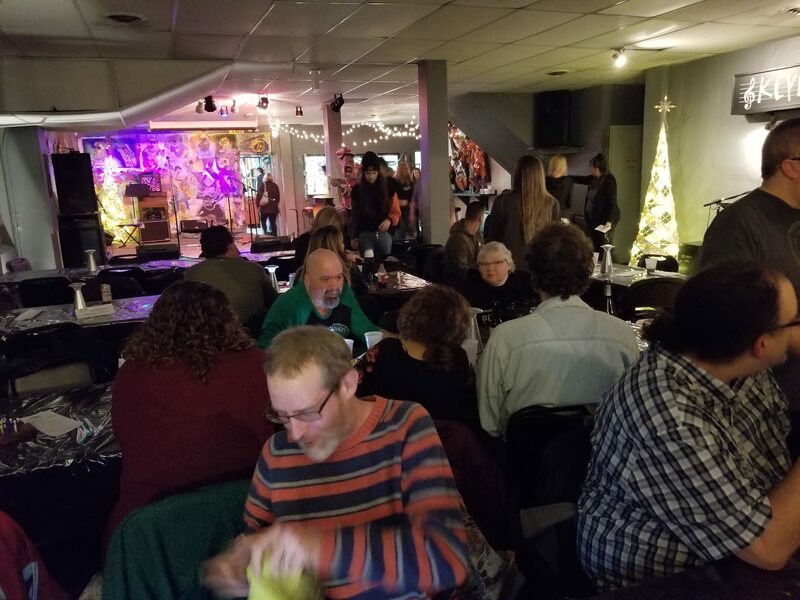 What is special about Keynote Cafe? 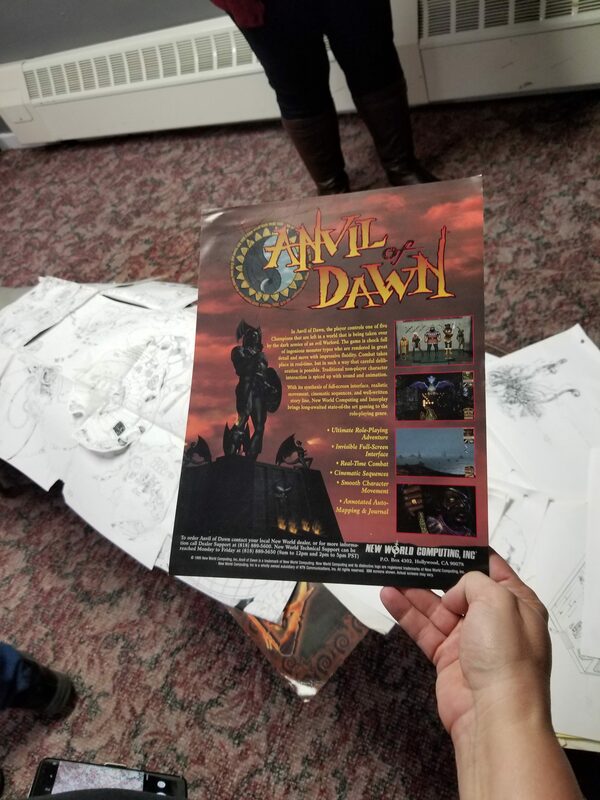 It used to be the offices of Dreamforge in the mid 1990s, when that now defunct gaming company made such cult classic games as Sanitarium (which even Steven King mentioned in his book “The Girl Who Loved Tom Gordon,” Chronomaster (with Roger Zelazny and Jane Lindskold), Anvil of Dawn (1996’s role playing game of the year), Ravenloft: Stone Prophet, and more. 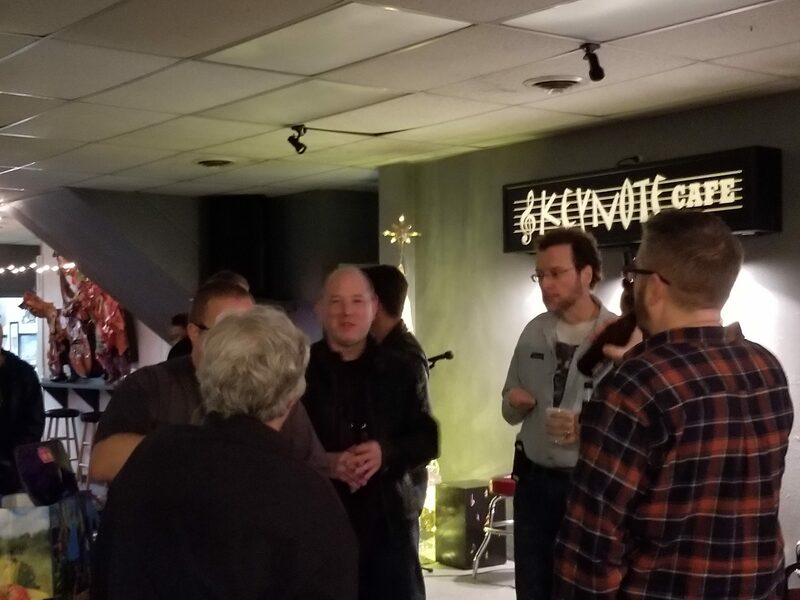 The reunion was the idea of Mike Breitkreutz, now with KingsIsle Entertainment, Inc. A number of former DreamForge Intertainment staff were either back home in the Pittsburgh area for the holidays or were within driving distance. 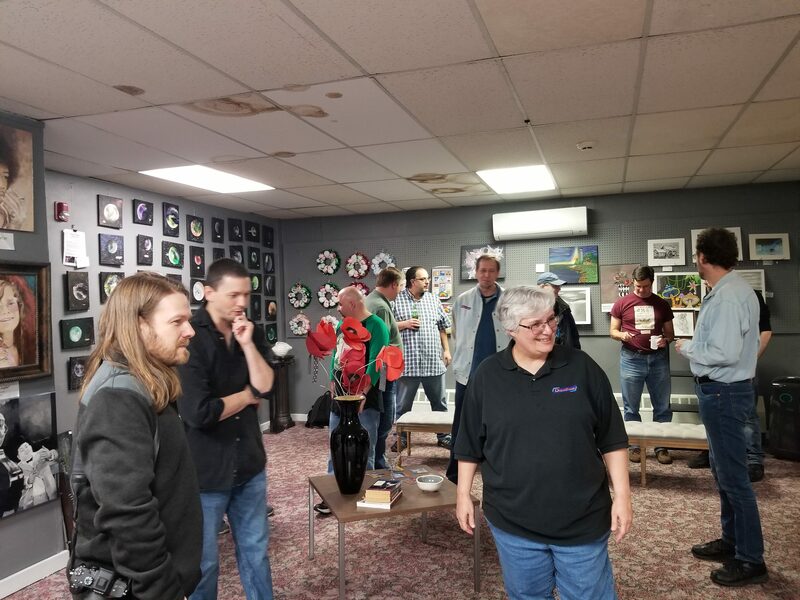 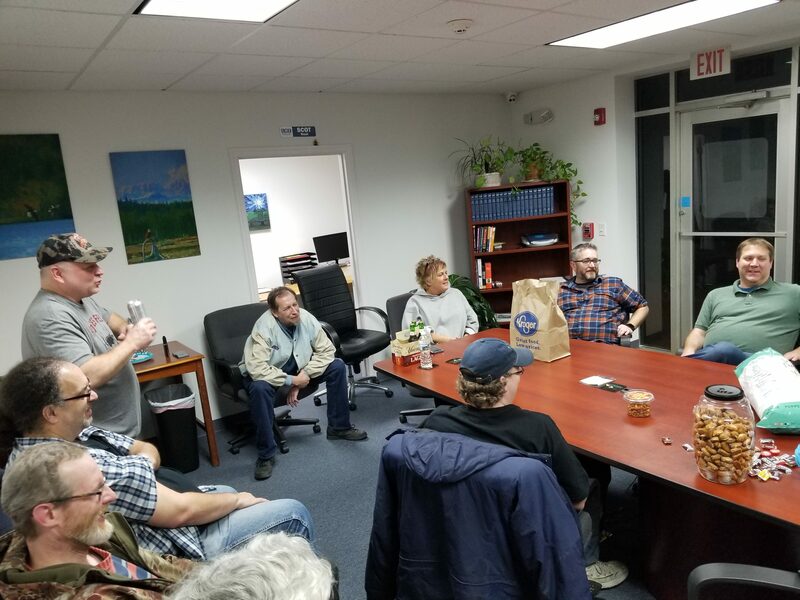 Attendees included Mike Breitkreutz, Tim Bumar, Brian Busatti, Dan Corall, Mark R Dietz, Josh Jay, Adam Lippmann, Keith Leonard, David Locke, John “Fuzz” McGirk, Jane Noel, Scot Noel, Frank Schurter, Rob Seres, Tracy Smith, Chris Straka, Don Wuenschell. 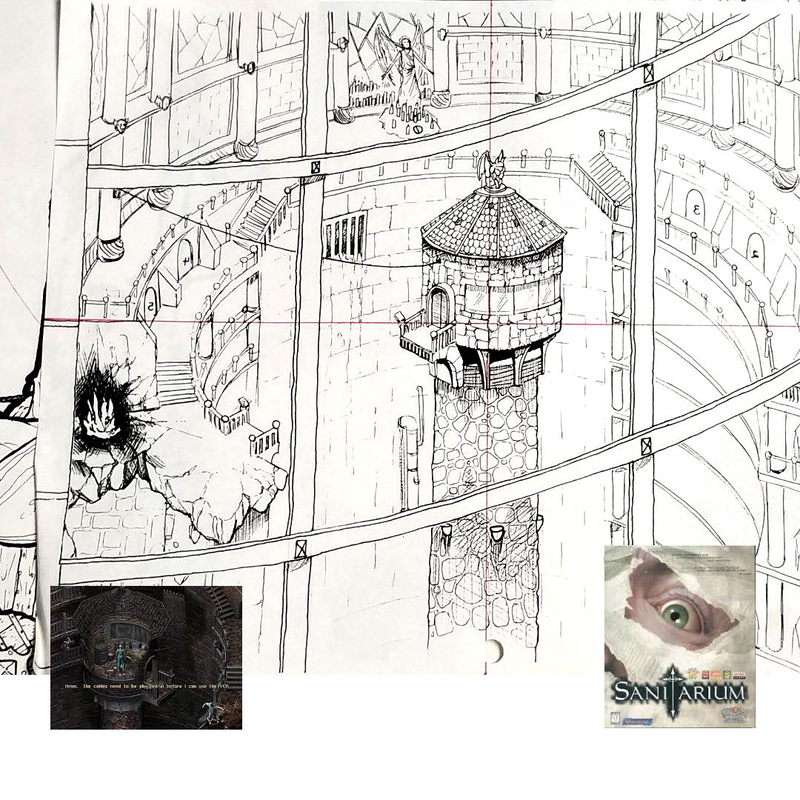 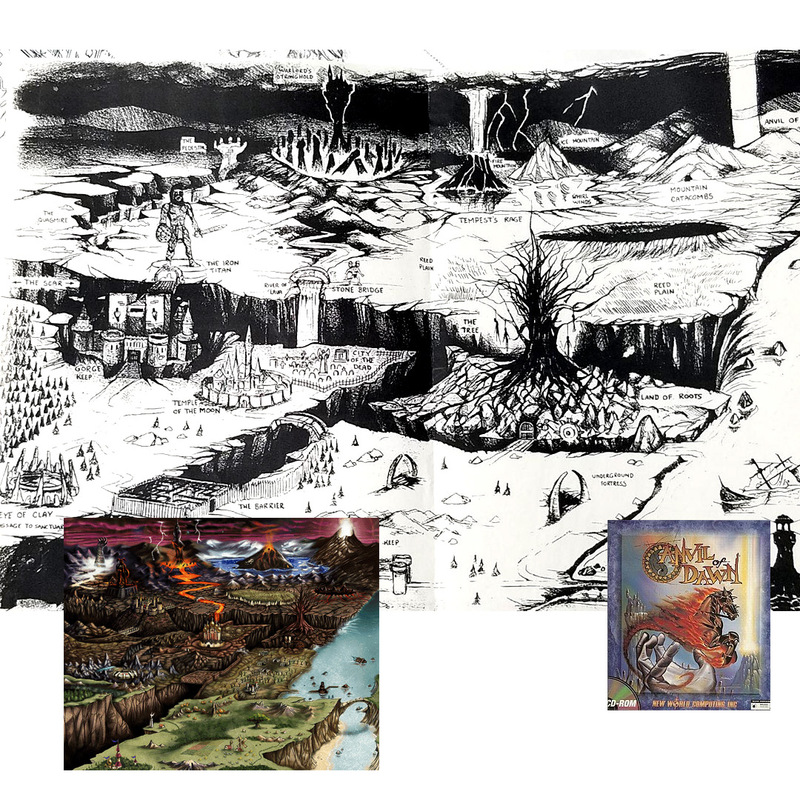 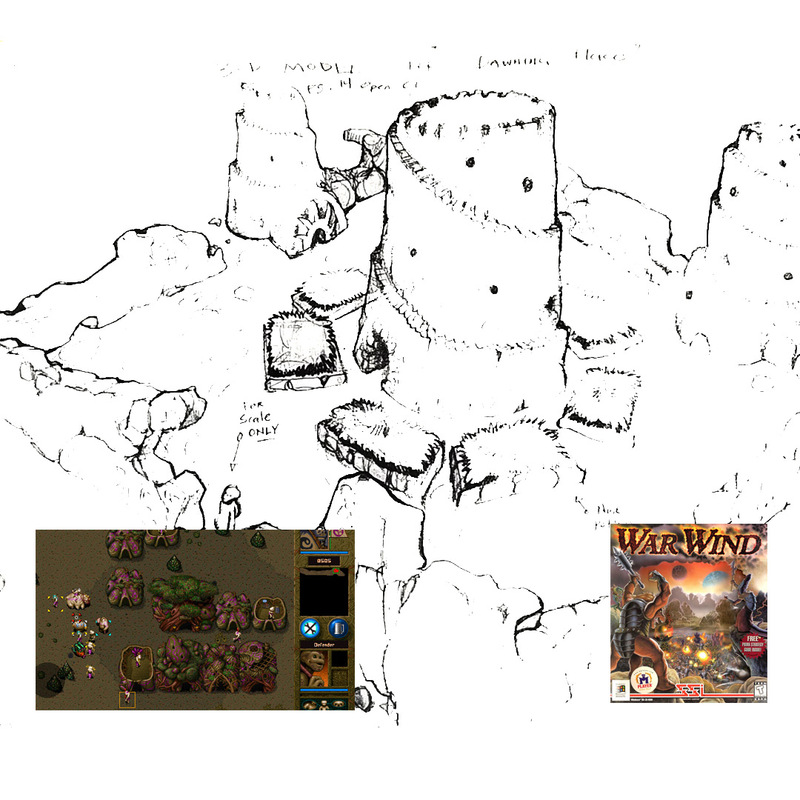 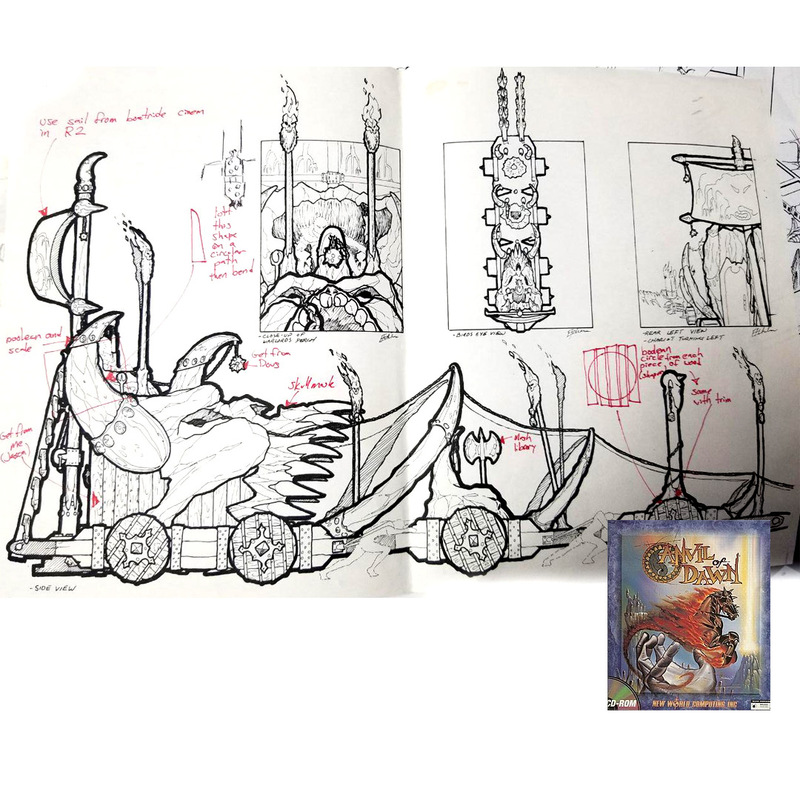 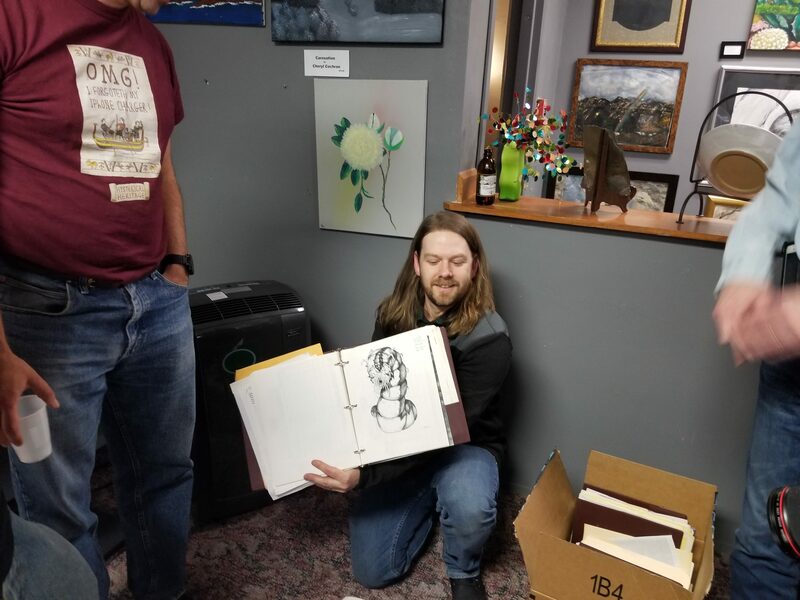 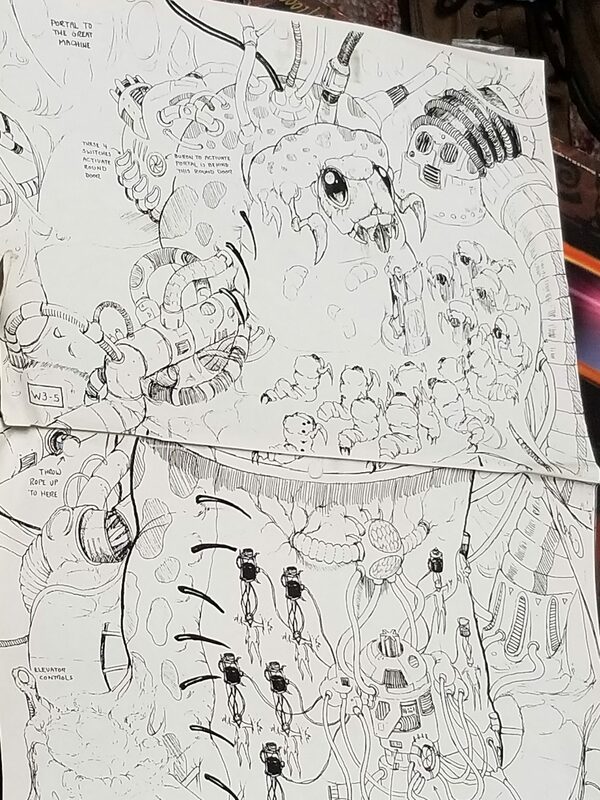 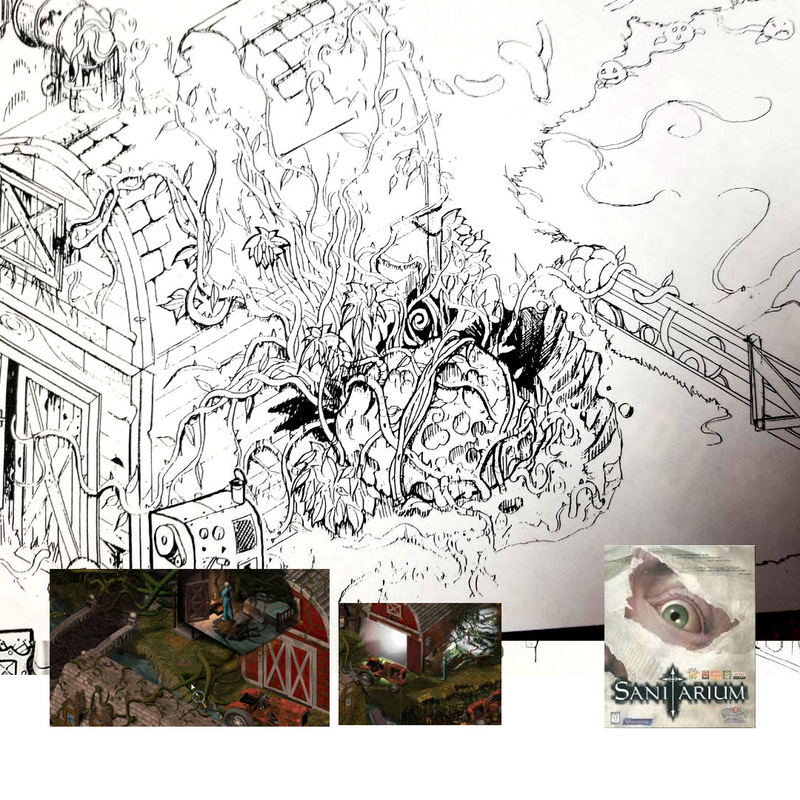 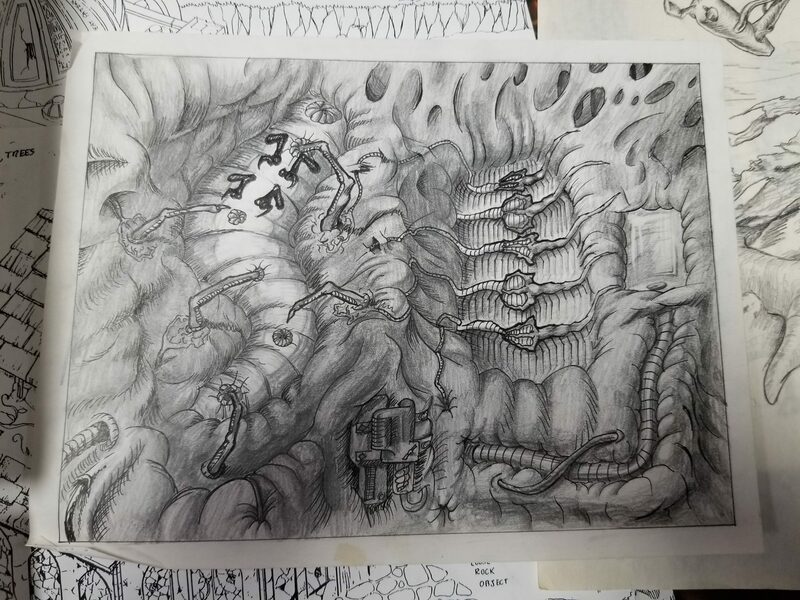 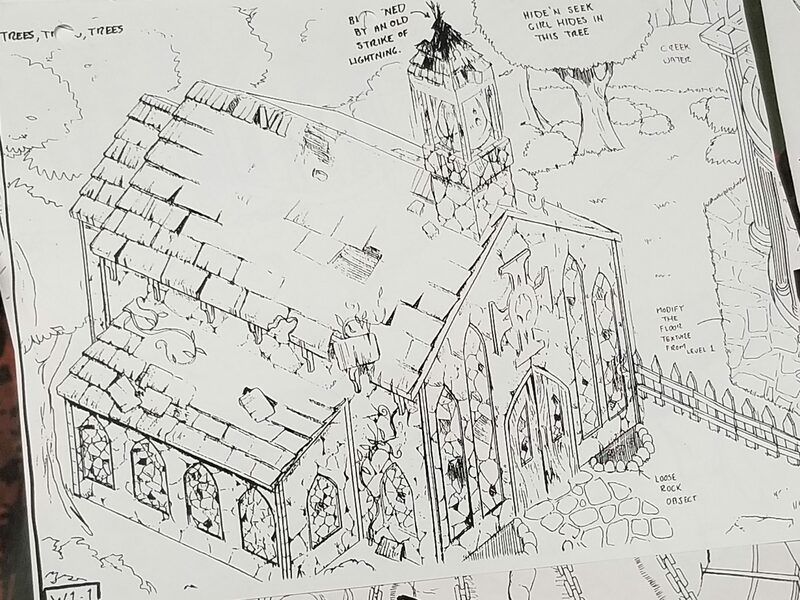 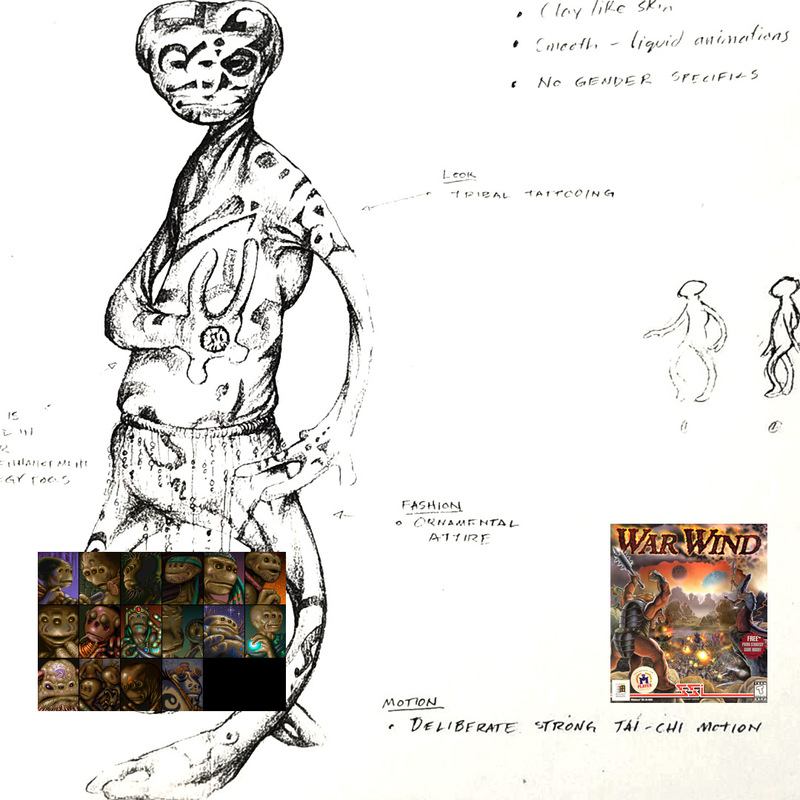 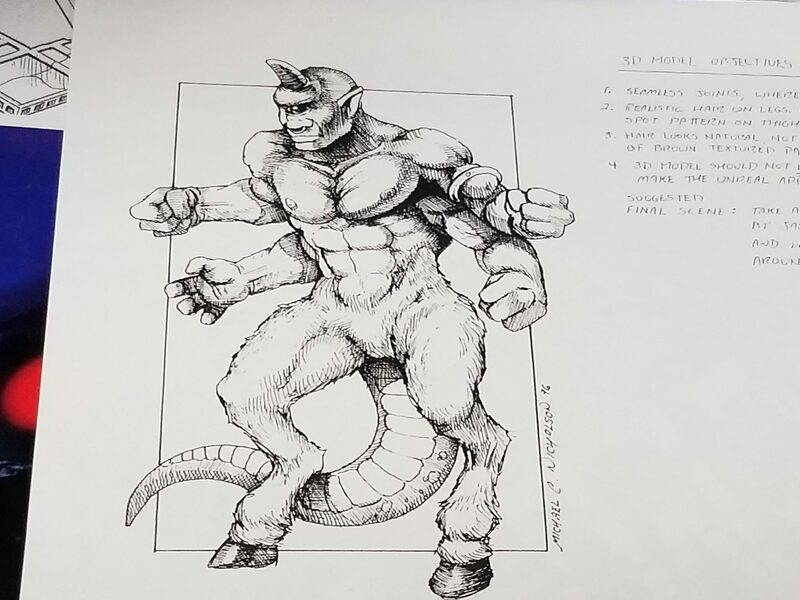 Here are some pictures, including original game art sketches brought to the event by Tracy Smith (now owner of 60 Foot Films). 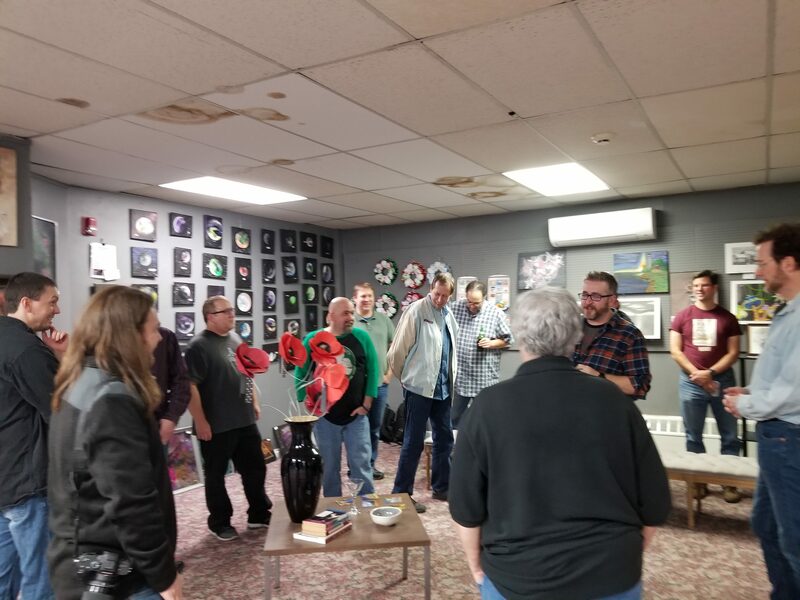 A great time was had by all, reminiscing and telling stories of the old days. 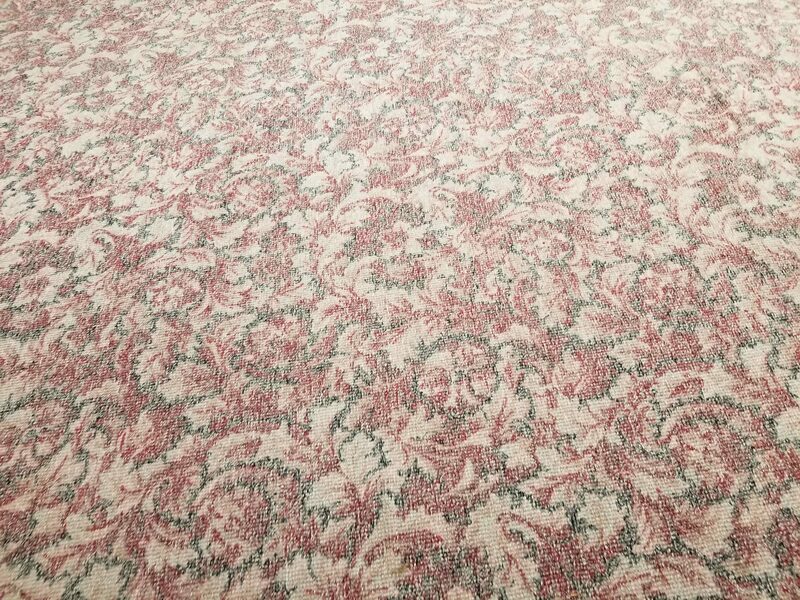 We noted that some of the carpeting at Keynote Cafe is the same carpet we remember! 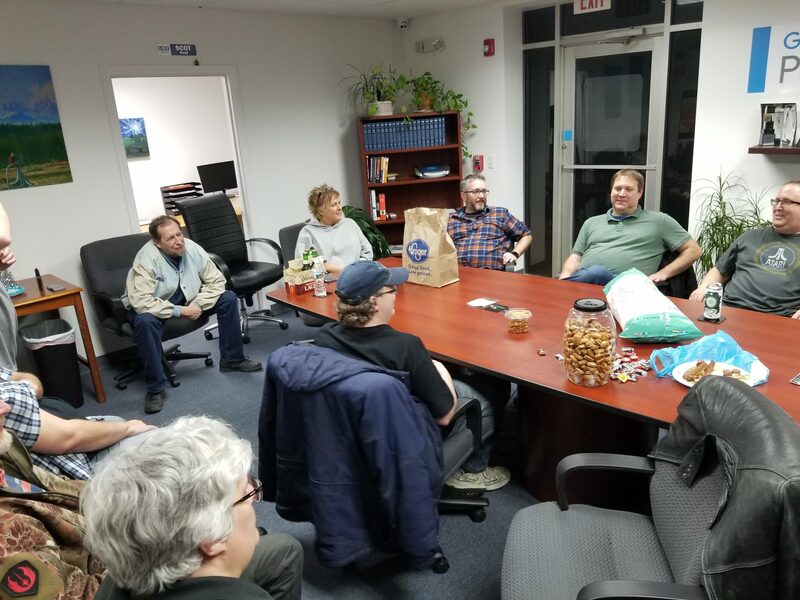 We pointed out the positions of former offices and cubicles, remembered where we used to record music and voice performances, and played Dungeons & Dragons after work. 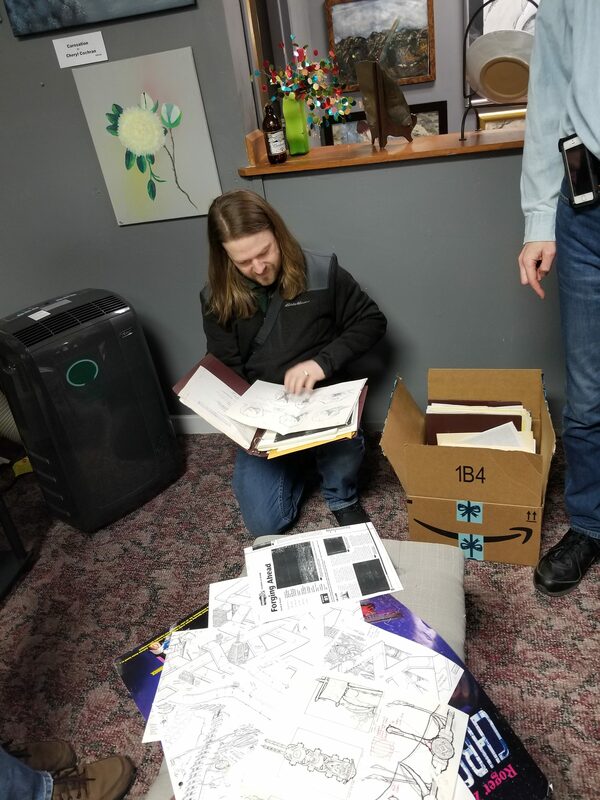 When Keynote closed, we went to nearby to Chroma Studios (where the new DreamForge Magazine is being produced) and continued the reunion until nearly 2 am.